The sun shone today, so I drove up to Cambridge University Library. My first objective was the articles by archbishop Michael Chub in Bogoslovskie Trudy, which gave versions of the Slavonic text of Methodius. The articles appear in issue 2 (1961) and 3 (1964). I don’t know a single letter of Russian, but the journal itself helped me quite a bit. Remember that this is the period of KGB control of the church. The journal was published by the Moscow Patriarchate, mainly to give a false impression of the freedom of the church in Soviet times. Being intended for export, it had a table of contents in English and French, and Arabic numbers for page numbers. The articles also were accompanied by monochrome photographs of pages of the Slavonic manuscripts. Anyway I got a photocopy of the lot — slightly over A4, unfortunately, so some work with scissors will be necessary in order to scan it — and I will run it into PDF, OCR it, put it through Google Russian-English translate, and see what Dr Chub — let us hope that he wasn’t one of the KGB officers appointed as bishops — has to say. It was a long drive to get this, and I had considered ordering a photocopy of the articles from my local library via the British Library. But it would probably have cost no less, and the copies that I have received through the latter have often been of very poor quality. Last night I started writing a post on the bibliography of Hero of Alexandria. I took the opportunity to verify a couple of references. Amusingly, two of them were wrong! One volume was supposed to contain a load of English translations of Hero; in reality it was a commentary, and contained none. It is surprising how often people do not verify their references. Meanwhile I have had a couple of interesting emails. 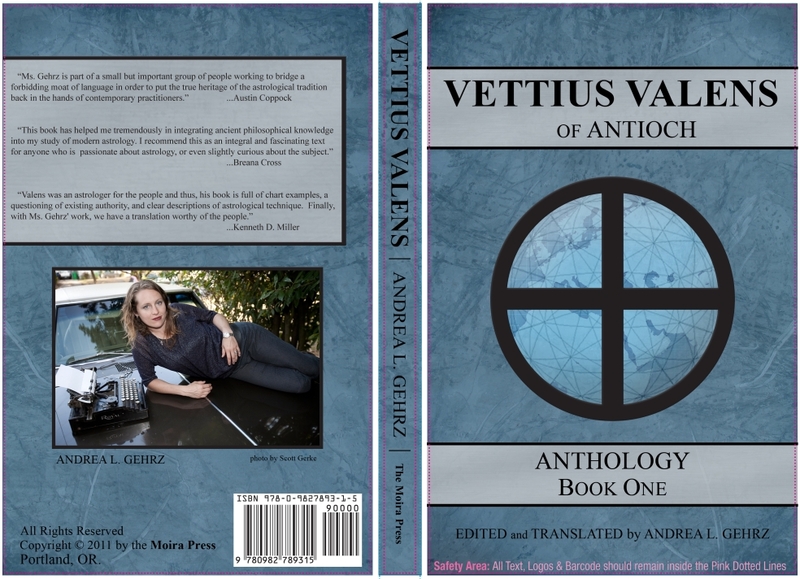 Andrea Gehrtz, who has translated various works by Porphyry, has had a go at book 1 of the ancient astrological writer, Vettius Valens. It’s available for sale on Amazon.com here. Another correspondent advises me that Beth Dunlop’s translation of 4 Christmas homilies is accessible here. The homilies are by John Chrysostom, Gregory of Nyssa, Amphilochius of Iconium, and Gregory Nazianzen — all 4th century, and it is good to have access to them. I did write to Beth Dunlop years ago, asking if I might place these online, but had no response. Perhaps the author of this site has been more successful! Vettius Valens: Find a link here to a translation of Vettius Valens Anthologiai, the longest astrological text from Greco-Roman antiquity. What you find here is a preliminary translation completed in the 1990’s and not perfected since. It is based on Wilhelm Kroll’s 1908 edition (page numbers of this edition are marked with bold-faced K in my pdf) and on David Pingree’s 1986 edition (page numbers marked with P), a great improvement on his predecessor’s. The angled brackets (< >) indicate words added in the translation for clarity or (sometimes) to correct errors in the text. My studies in ancient mathematical literature, and (more important) in the Syriac and Arabic copies of Valens did not proceed far enough to put the finishing touches on this translation. Moreover I have moved on to other work. (See here.) So there are no guarantees of accuracy. You might also find some typos. Use at your own risk. In addition I am not prepared to answer questions about the translation. You are on your own. When studying Valens, also consult my Survey of Vettius Valens (on this webpage) and Neugebauer and Van Hoesen, Greek Horoscopes (Philadelphia 1987). Most of the horoscopes listed in Valens are translated by Neugebauer and Van Hoesen. Thank you, Mark, for this — this is excellent news! Mark Riley has sent me PDF’s of his entire unpublished translation of the second century astrological handbook, the Anthology of Vettius Valens. This was translated from the Kroll edition (which is online) and the revised Pingree text (which is not). I’ve combined them into a single file and emailed them back, and he’s going to make it available online. It’s a marvellous piece of work. The sheer labour that must have been involved is staggering. It is a terrible shame that this never turned into a publication. Mark tells me that the reason for this is that, to perfect it, he needed to consult the Arabic versions of the text, and lacked the necessary language skill and time to acquire it. I have suggested to him that he post the translation on his website. It will be of interest to anyone interested in Vettius Valens. It is very clear and well translated. Unfortunately the text itself is only of specialist interest. I read through it this morning, hoping for snippets of information on the ancient world. But these are lacking. Vettius Valens is only interested in showing students how to calculate astronomical things in order to cast horoscopes. He derides the bombast and obscurity of other such handbooks. But otherwise it is all calculations. The book should be useful to those interested in ancient astronomy, and to those who must work out how mathematics was presented in an age without proper numerals. But it is not of interest to most of us. I’ve also heard back today from Project Hindsight about the Robert Schmidt translations of ancient astrological writers. These are $45 a volume, which is dear — too dear for me. I said so, and was told there might be volumes available at $30, which is a possible. price Why any of these are more than $20 a go I do not see, tho. I have suggested to them that Dr Schmidt might like to consult Dr Riley about Vettius Valens.